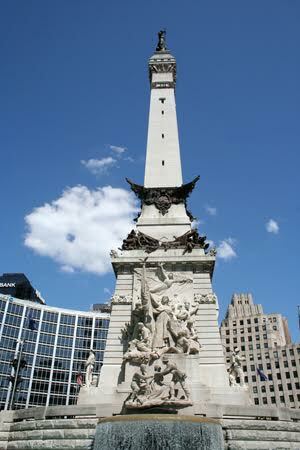 Indiana Landmarks’ guided tour explores the physical and symbolic heart of Indianapolis and tells the intriguing story of Monument Circle, past and present. During the tour, you’ll hear about the Soldier and Sailors Monument, including why the woman on top faces south, as well as the roundabout’s role in the city’s original plan and stories regarding encircling architecture. No tour if raining cats and dogs! Reservation required. Advance tickets are $8 per adult (12 and up); $5 per member of Indiana Landmarks; $5 per child (6-12). If space is available the day of the tour, tickets are $10 per person regardless of age.